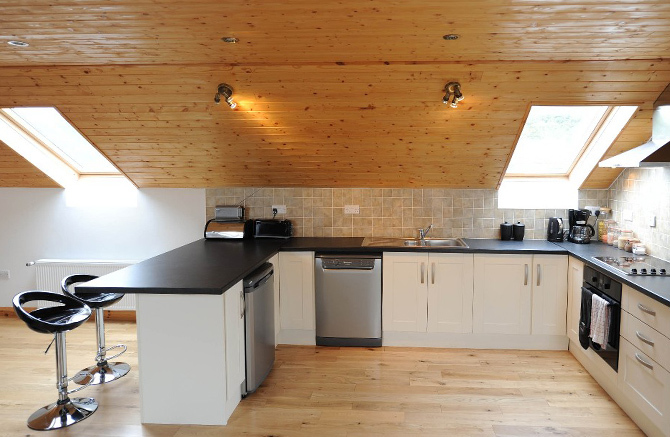 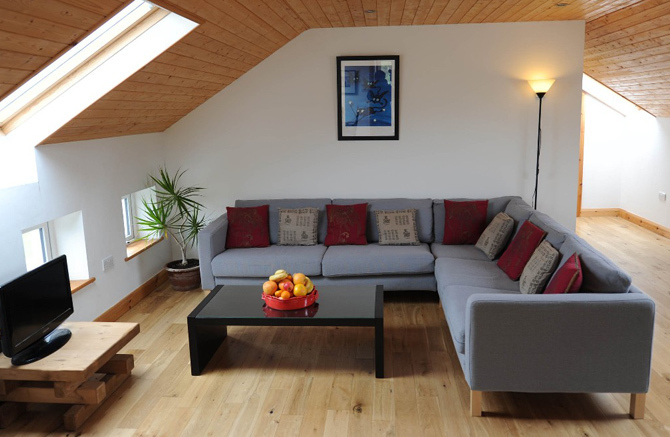 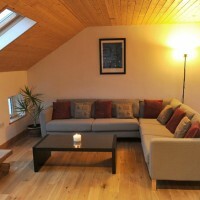 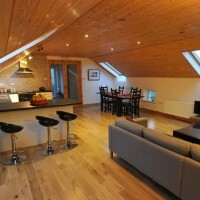 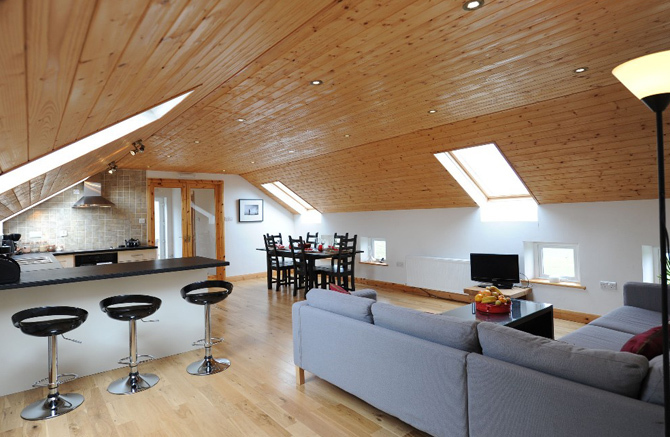 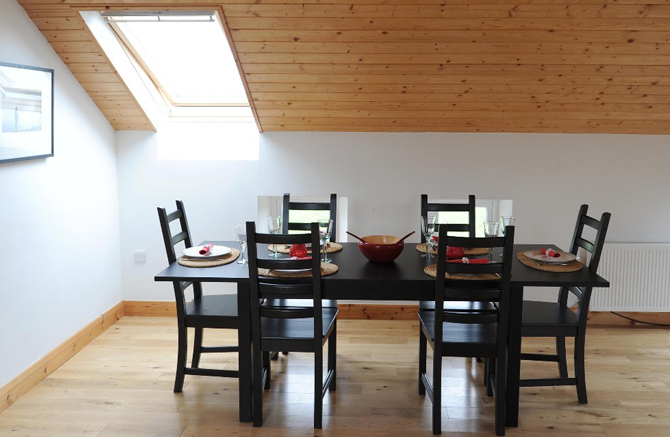 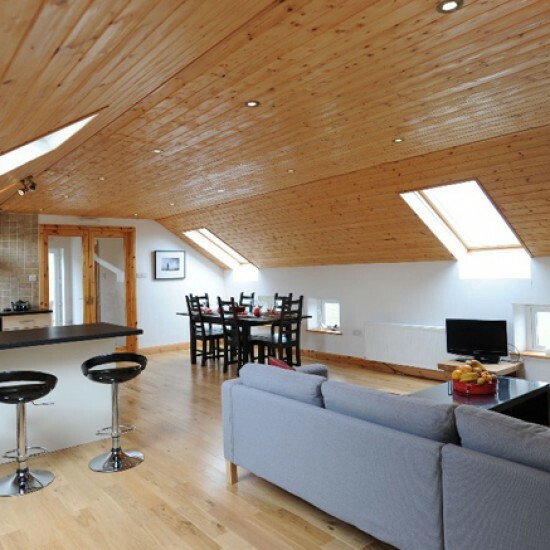 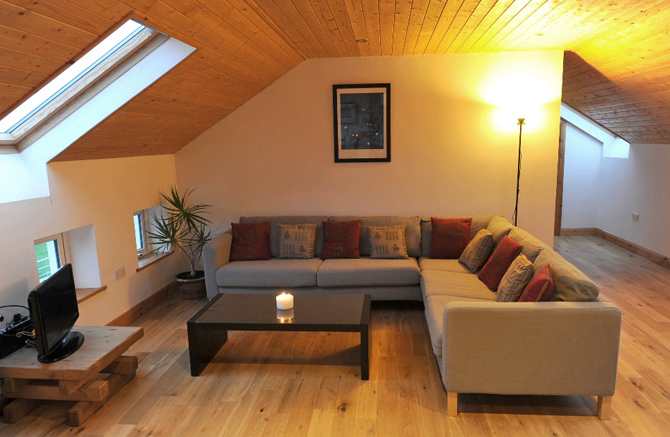 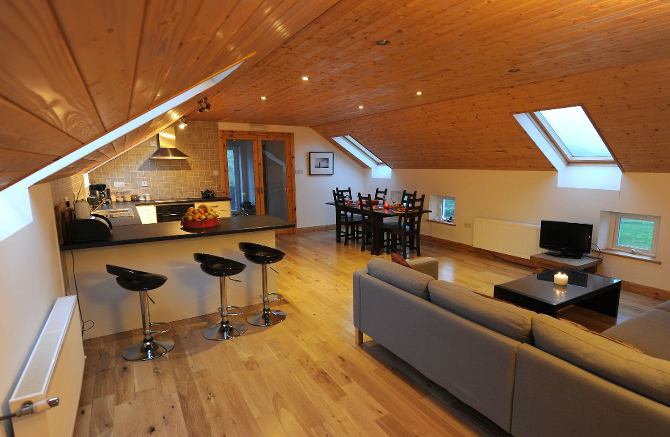 The Loft at Three Castle Head Farm is a modern barn loft conversion built in 2011. 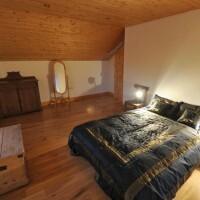 It can sleep 2-5 people. 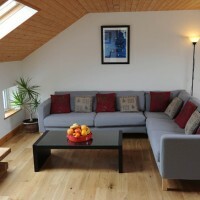 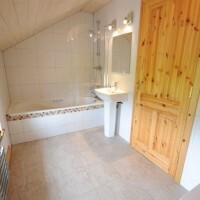 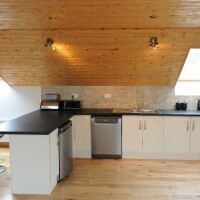 The apartment offers a large, comfortable living space combining modern convenience with rural charm. 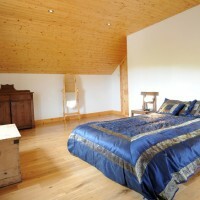 Guests will literally be sleeping above the barn and in springtime will be surrounded by fields full of new lambs! 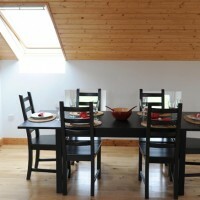 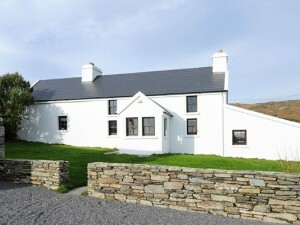 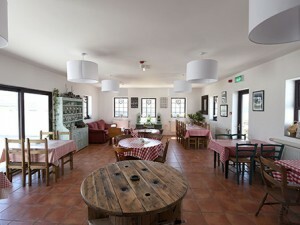 It includes a spacious open plan living/ dining / kitchen area with oak floors, a dining table for 8 and a large sofa. 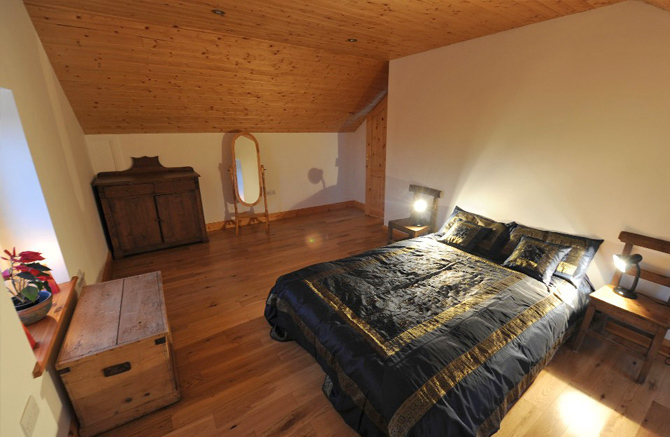 The apartment includes two bedrooms; one double and one with two single beds that can be joined together to create a second double bed as per guests requirements. 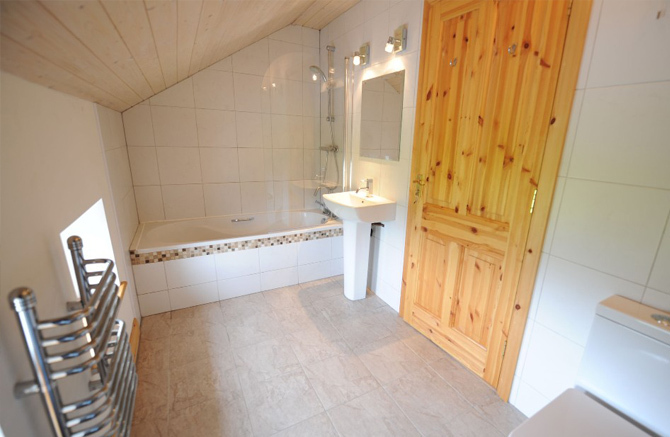 There is a bathroom (with a large bathtub, shower, and toilet) as well as a separate WC and laundry facilities. 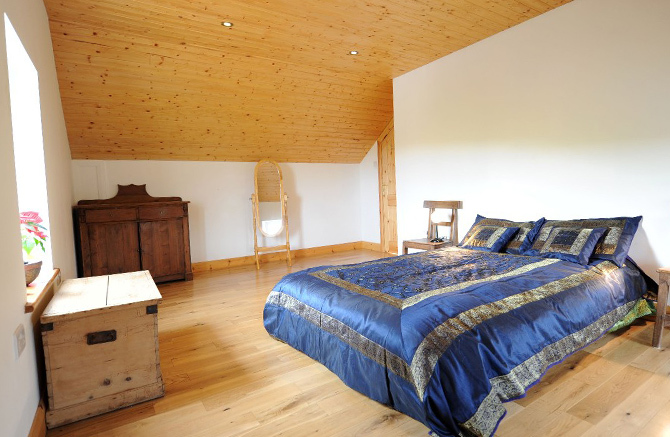 Outside, there is a private wooden deck overlooking the beautifully landscaped gardens, lawns and a pond. 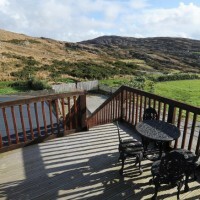 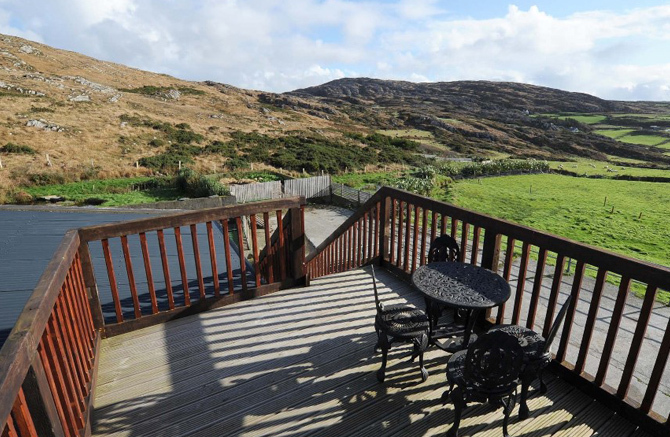 This is a wonderful and secluded spot to take in the sea views over morning coffee or dinner.